The BRIT Awards 2018 with Mastercard celebrated the biggest night in UK music at The O2 Arena, London this evening, Wednesday 21st February. With new host Jack Whitehall at the helm, an exceptional line up of live performances ensured an unbeatable night of music and entertainment for the packed out arena, and the millions watching the show from home. A last minute addition to the show was Liam Gallagher for a very special and heartfelt performance in memory of the victims of the horrific Manchester Arena bombing last May. Gary Barlow gave a powerful speech before introducing Liam Gallagher to the stage who then gave a moving performance of ‘Live Forever’ – which he performed at One Love Manchester with Coldplay – inspired a standing ovation from guests, who lit up the arena by holding their mobiles in the air, in what will undoubtedly go down as one of the most emotional moments in BRITs history. Justin Timberlake kicked off the show with a two song set of ‘Midnight Summer Jam’ and new single ‘Say Something’, for which he was joined on stage by Chris Stapleton. Rag‘n’Bone Man and 2018 Critics’ Choice winner Jorja Smith performed his track ‘Skin’, alongside incredible performances from Dua Lipa, Ed Sheeran, Foo Fighters, Sam Smith, Kendrick Lamar, Rita Ora (with a three song medley finishing with ‘For You’ featuring special guest Liam Payne), and Stormzy, who closed the show with a huge finale of ‘Blinded by Your Grace Part 2’ and ‘Big For Your Boots’. After all the signs, his prayers were answered with a double triumph for Stormzy, who picked up awards for British Male Solo Artist and the much coveted Mastercard British Album of the Year (for ‘Gang Sign & Prayers’), marking the London grime artist’s first ever BRITs win. Dua Lipa has set her own New Rules over the past 12 months, and was celebrating tonight with two award wins for British Female Solo Artist and British Breakthrough Act, the latter a public vote, capping off an incredible year for the 22 year old singer. Rag‘n’Bone Man continues to add to his BRITs tally with the award for British Single for ‘Human’, after winning both Critics’ Choice and British Breakthrough Act in 2017. He was presented his award by 2017 BRITs hosts Emma Willis and Dermot O’Leary. 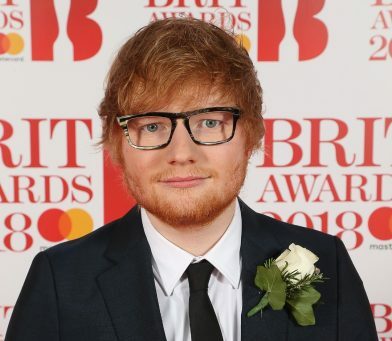 The BRITs Global Success award, identified by global sales success of a British artist, was awarded to Ed Sheeran for what has been a phenomenal year, with his third album selling over two million copies in the UK and over one million copies in the US by end of last year, as well as hitting the No. 1 spot in over 20 countries. Previous recipients of this award are Adele, Sam Smith and One Direction. Damon Albarn and Jamie Hewlett’s band Gorillaz received their first and long awaited BRIT for British Group, after nine nominations since first being shortlisted for this award in 2002. Lorde picked up her second BRIT for Best International Female, accepting via video message. Second time lucky after a nomination in 2016, Kendrick Lamar received his first ever BRIT award for Best International Male. Following their first ever BRITs performance, Foo Fighters bagged their fourth award for Best International Group, having won previously in 2008, 2012 and 2015. British Artist Video of the Year was once again determined by a live Twitter social vote, with Harry Styles taking home his first solo BRIT Award for his video ‘A Sign Of The Times’. Harry was unable to attend the ceremony with Jack Whitehall accepting the award on his behalf from the stars of The Voice: Jennifer Hudson, Sir Tom Jones and Olly Murs. All winners on the night were presented with a unique award designed by acclaimed British-Indian sculptor Sir Anish Kapoor. The BRIT Awards 2018 with Mastercard took place at London’s O2 Arena on Wednesday 21st February and were broadcast live on ITV and streamed on YouTube across the world (excluding the UK and Ireland) for the fifth consecutive year. Performances are exclusively available on Apple Music directly after the show; all audio tracks of the performances from the night are available to buy on iTunes with donations going to The BRIT Trust.